Floor transition height differences no longer a problem with TRAXX Composite Board Carpet Ramps and Shims. Great anytime carpet flooring is installed next to hardwood, ceramic tile, stone, marble, or other hard surface flooring where there is a rise between the sub-floor and the hard surface. Ideal for general residential floor transition applications; as well as applications to level cabinets, walls, windows, doors and more! Ramps and shims available to assist with ADA (American Disabilities Act) compliance. 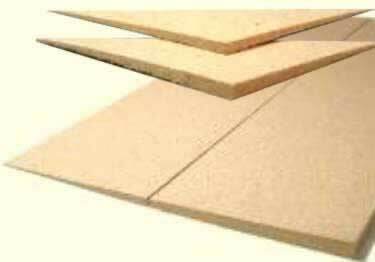 8" x 32" Composite Board Ramps: Provide a gentle, smooth transition from hard surface to carpet. Often used in doorways of less than 48" width (e.g. hallway doorway applications). Short transition ramp keeps transition close to the wall and out of the hallway. Available in �", 3/8", and 1/2" thicknesses. 12" x 48" Composite Board Ramps: 12" angle provides a gentle, smooth transition from carpet to hard surface. Typically installed in openings that are 48" or wider and where ADA (Americans with Disabilities Act) is of concern. Available in �", 3/8", and 1/2" thicknesses. 1" x 24" x 48" Composite Board Super Shim: Great for extreme height differences between carpet and hard surfaces like marble or stone. The Super Shim is ADA (Americans with Disabilities Act) compliant. 24" width by 48" long and 1" thick at the high side. Designed for installations where there is a rise of 1-1/4" to 1-1/2" between the sub-floor and the hard surface. Composite Board Side Shim: Triangle shaped shims provide a taper to the left and right side of the shim, eliminating the drop off. Available in 3/8" and 1/2" thicknesses. How to choose the right ramp thickness: Generally, if you measure the height of the rise from the sub-floor to the top of the hard surface, then subtract 1/2" this will be the ramp thickness you will want to install. The exception to this general rule is if you are installing extremely thick or thin carpet, you may need a thicker or thinner ramp. I'm looking to use this to level a fish tank stand that is 24x24. Once filled with water it will weight 680lbs. Will this composite carpet shim support the weight? Floor transition height differences no longer a problem with TRAXX Composite Board Carpet Ramps and Shims. Great anytime carpet flooring is installed next to hardwood, ceramic tile, stone, marble, or other hard surface flooring where there is a rise between the sub-floor and the hard surface. Awesome product , worked as advertised. Thank you for your review. We appreciate the time you took to write such a detailed review. Your feedback will hopefully assist others who are interested in this product. We are glad our Traxx Shims worked as advertised and helped you solve a problem with your project.